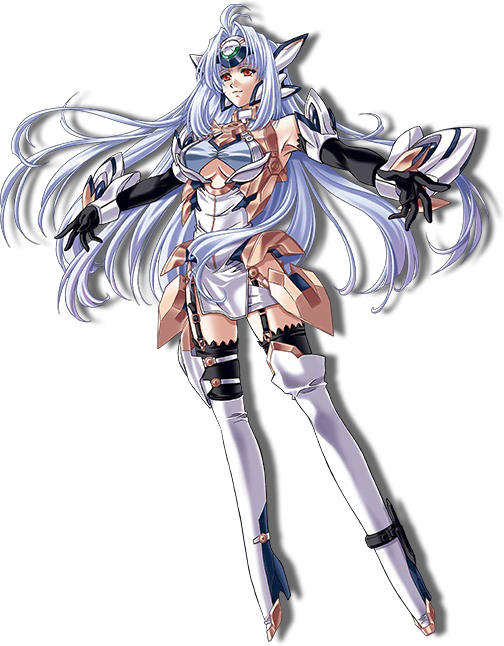 This blog uses Kos-Mos as one of its theme character. Because I’m Not Alone Out Here. I really wish I had the time and energy and opportunity to blog more extensively. There’s a lot of things I’d like to say about a lot of subjects. Because my efforts must be limited, I can at least praise others who fight the good fight. Besides, in a case like this, discovering a new blog can be very interesting. I just plain don’t know them all. What really struck me is that this blog – which has guest authors (lucky…) – does reviews of songs included in reviews of opening and ending themes (OP’s and ED’s for short). I mean, in all seriousness, I wouldn’t dare stand up as an actual music critic of J-Pop as if I know the artists and their work extensively, or for that matter, as someone who understands music on a deeper level. I think I have taste, but taste does not a critique make. This review of the Tokyo Magnitude 8.0 ending theme is a good example. I just wouldn’t know the context to place the song in, even though I watched this anime and sort of liked it. Which is not to say I’d see eye to eye on everything they’re cranking out, or rather, this watch list is from September and my own eyes assess things for me from live watching, and some series can pleasantly surprise, even when I’m not expecting much. The Iron Man anime was an example; I never expected to find episode #4 that interesting. And I’m sure they have absolutely no idea I’ve written a review about their blog. That’s fine. This isn’t a back-scratching society, it’s appreciation of a good find. I’ve added The Deathseeker to my blogroll out of sincere appreciation, and I expect I have much good reading ahead of me. This entry was posted in Anime, Japan and tagged anime, blogging, blogs, Japan, review. Bookmark the permalink.